Stace Harman plugs himself into Watch Dogs’ fictional universe and finds a degree of familiarity that could enhance immersion but may ultimately lessen its impact. 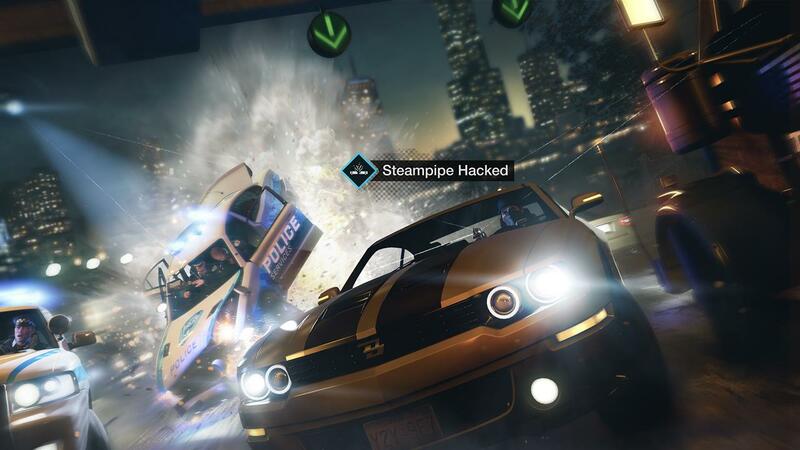 Despite suffering a high profile delay of several months, it feels as though Ubisoft Montreal’s near-future hack-fest is arriving at a very pertinent time. Recent real-world history has produced headlines that take in covert phone surveillance, guerrilla hacking groups Vs multinational corporations and the uncovering of inexplicably large holes in some of the world’s most prominent IT systems. Clearly, if somebody wanted to make a gritty and socially relevant thriller about Big Brother and those seeking to subvert the extensive digital networks on which our lives are run then now would be a very good time to tap into the zeitgeist. Watch Dogs’ Aiden Pearce is a man able to exploit such weaknesses to gain access to Chicago’s fictional but credible ctOS (Central Operating System). 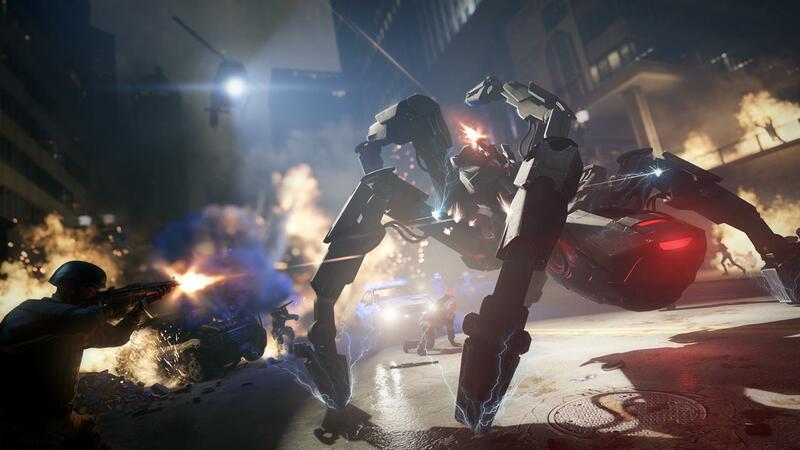 Once inside he can manipulate its architecture to change traffic lights, activate vehicle barriers and raise bridges, at the touch of a button and on the fly – in a manner that’s mechanically similar to Starbreeze’s Syndicate reboot of a couple of years ago. These abilities are particularly useful when being pursued by law enforcement and involved in shootouts. They also come in handy when you want to beat the traffic to make it home in time for mid-afternoon reruns of Gilmore Girls. In short, Pearce’s technical wizardry is such that he can cast his spell on pretty much anything that’s controlled by a computer system and in Watch Dogs, as in real life, that’s more or less everything. As Pearce becomes more adept at using his shady skill-set he gains access to more comprehensive hacks, so while at first you’ll have to smash a window to jack a car you’ll later have access to a universal key encoder that’s let’s you unlock the door and start the engine without risk of a bystander reporting your brute force approach to the police. Back in the real world, there’s the everyday tracking and data gathering that has become so ingrained that we no longer think anything of it: internet cookies, CCTV monitoring and the tracking of shopping habits in the form of loyalty cards and browser history that we blithely acquiesce to. Similarly, Pearce taps into this centrally stored data to hop around Chicago’s CCTV network and instantly surface personal data of everyday civilians, allowing him to access to personal information, salary details, potential for criminal behaviour and deepest, darkest fetishes. Watch Dogs provides both the tools and opportunities for such activities but refrains from judging you for how you want to use them. So it is that Aiden Pearce can siphon money from the bank accounts of passers-by, gain access to new vehicles and access text or call data highlighting where something unsavoury is going to go down. Of course, the data itself is amoral, it’s just little pieces of digitally-stored information and only you know what you’re doing with it. As such, it’s up to you to decide whether you choose to skim a couple of hundred dollars from the bank accounts of drug dealers, pimps, fraudsters but also whether your hits will include teachers, young families and voluntary workers. It’s surprisingly powerful the first few times you decide to tap an average Joe for cash only to find that they’re recently married or are battling cancer.